Herewith more positive reinforcement for our mantra of eat less; move more; live longer. 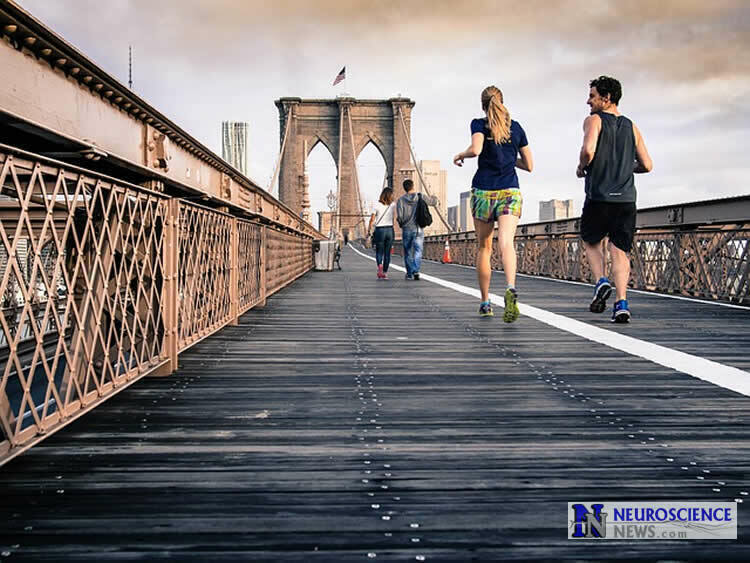 Neuroscience News reports that a landmark study led by the Black Dog Institute has revealed that regular exercise of any intensity can prevent future depression – and just one hour can help. Results showed that people who reported doing no exercise at all at baseline had a 44% increased chance of developing depression compared to those who were exercising one to two hours a week. NeuroscienceNews.com image is in the public domain. “We’ve known for some time that exercise has a role to play in treating symptoms of depression, but this is the first time we have been able to quantify the preventative potential of physical activity in terms of reducing future levels of depression,” said lead author Associate Professor Samuel Harvey from Black Dog Institute and UNSW. “Most of the mental health benefits of exercise are realized within the first hour undertaken each week,” said Associate Professor Harvey. One hour a week? A WEEK? Well, if an hour a week will fix depression, imagine how good you’d feel after twelve! You are welcome, Joan. Best wishes for the coming holidays!